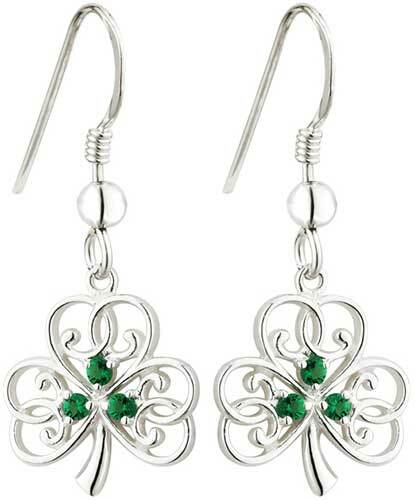 These sterling silver shamrock earrings feature green crystals in the center of the open filigree design. 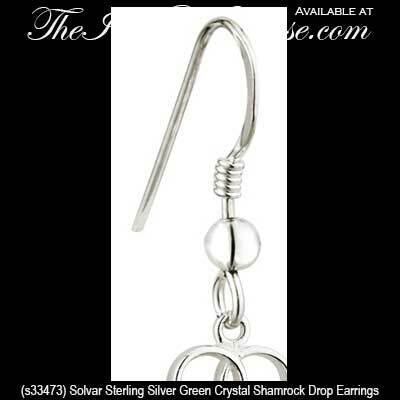 The drop shamrock earrings are on fishhooks and measure 1/2” wide x 1 1/8” tall, from the bottom of the earring to the top of the wire. 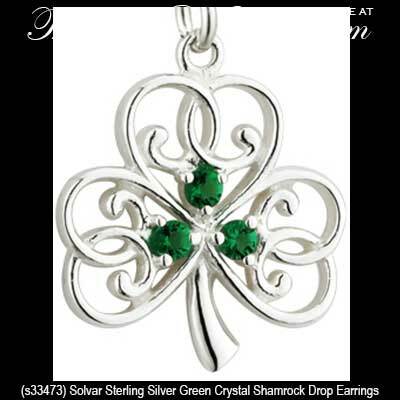 Four leaf clover necklace features sterling silver construction along with a green crystal in the center.